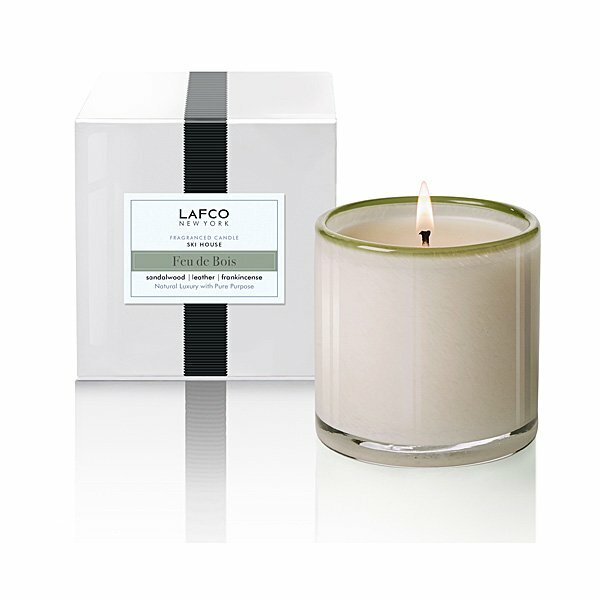 LAFCO Ski House (Feu de Bois) Signature Candle, kick the snow off your boots and find a spot near the roaring fire. It crackles and spits as it settles down for its long, slow shift, but its smoky remains will continue to comfort long after its final embers have grayed. Smoky frankincense blankets cozy notes of leather, sandalwood and pine.